Seat your guests in comfort and style with this Lancaster table & Seating black cross back bar height chair with driftwood seat. 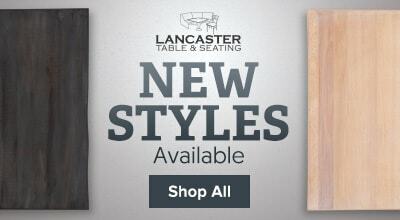 Featuring a durable wood seat with a driftwood finish and a contemporary steel frame with a trendy cross back design, this Lancaster Table & Seating cross back chair instills a modern look in any location. 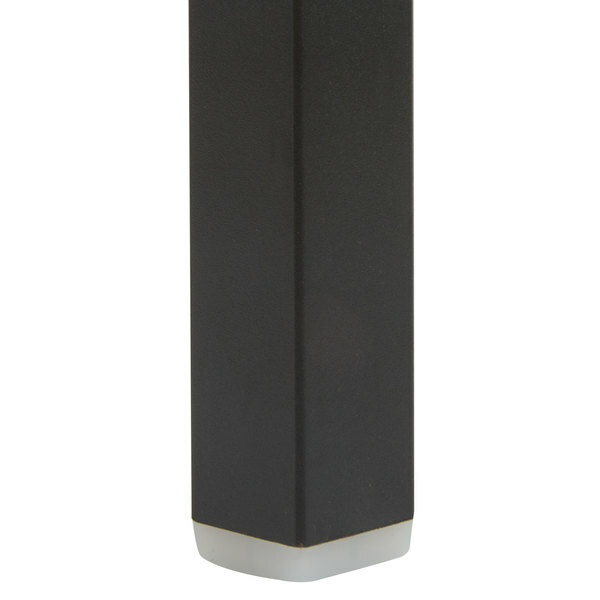 Its style and bar height design make it great for a trendy cafe or bar, perfect for use at high tables and counters. Plus, since the chair's back is contoured for a customer's back, it will provide unmatched comfort while maintaining a distinct appearance. "The Driftwood seat on this Lancaster table chair is very nice. 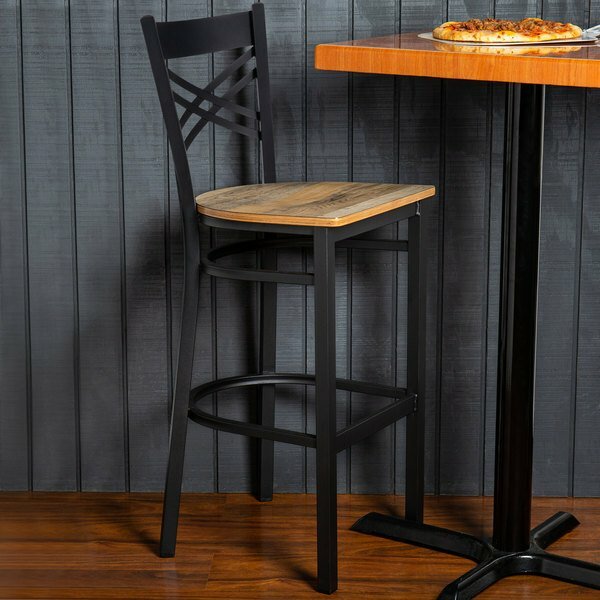 If you were looking for a comfortable and reliable chair for your restaurant, then look no further. These were an excellent purchase for us. Everything was delivered quickly and the whole process went smoothly. Thank…"
A durable metal frame provides unmatched durability in your commercial dining room. The chair can hold up to 330 lb. of weight thanks to this frame, and supports under this chair’s seat ensure extra strength. 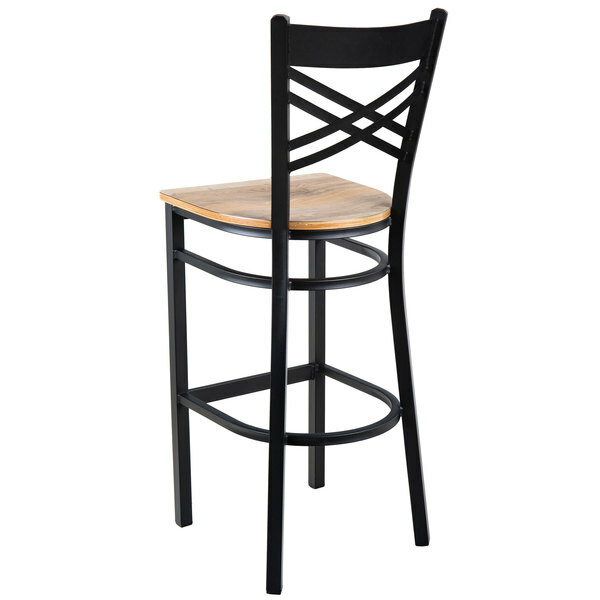 At the same time, the black powder coat on the chair ensures longevity even through everyday wear and tear, resisting stains, scratches, and smudges. 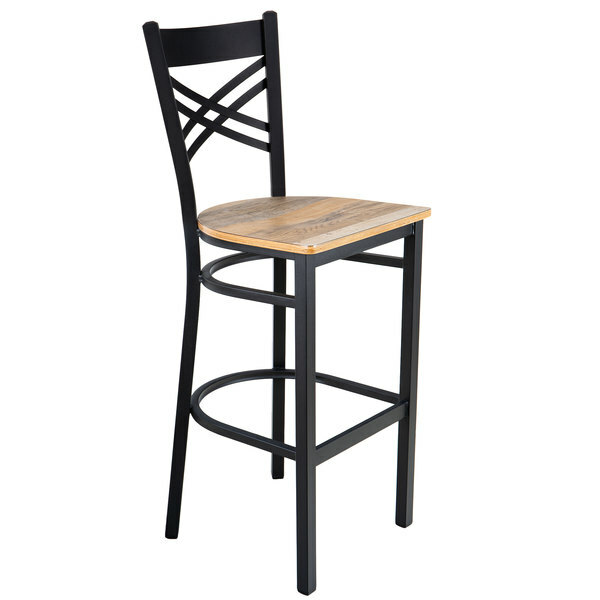 With a bar height design, this chair is a great choice for tall cafe seating, bars, and high counters. It includes a foot ring too, allowing the use to comfortably rest their feet while remaining balanced. This chair features a cross-back design that’s contoured to provide extra support to your customer’s upper back. Plus, this design gives it a unique visual appeal, making it perfect for any upscale or casual decor. Since each leg has a glide on its end, it won't scuff the floor when patrons or customers push the chair into the table or pull it away from the table to sit. 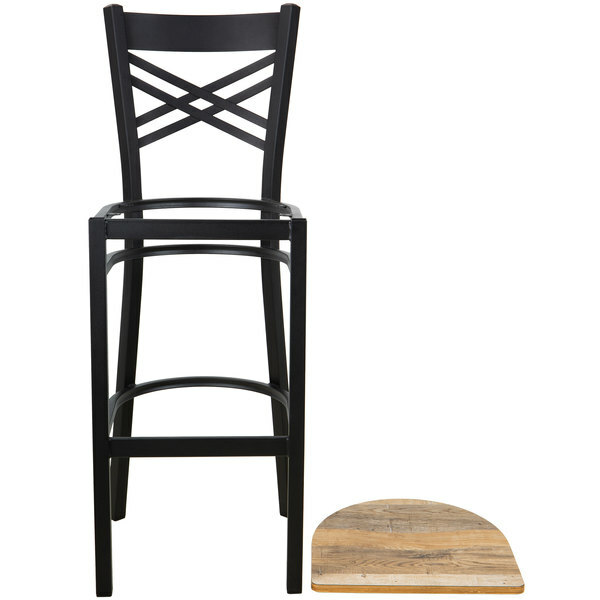 What is the difference between a preassembled chair vs. a detached seat chair? Detached seat chairs ship without the seat attached to the chair frame to provide a more cost effective seating option for your business compared to preassembled chairs. Preassmbled chairs already come with the seat attached to the base, and are ready to be used upon arrival. These chairs are sturdy and solid. A great value and they were easy to put together. I would buy them again without a doubt. Highly recommended! The Driftwood seat on this Lancaster table chair is very nice. If you were looking for a comfortable and reliable chair for your restaurant, then look no further. These were an excellent purchase for us. Everything was delivered quickly and the whole process went smoothly. Thank you so much!